Do you know the story behind Santiago Ways ? Surely not, but I would tell you that it is a history of passion for the Camino de Santiago. It was in the year 2016 when the father of our founder, Joseba Menoyo, was trying to organize his trip on the Camino de Santiago. Joseba realized how complicated it was for his father to organize the route, because he wanted to stay in quality accommodation and needed to transport his suitcase between stages. In addition, he was also afraid to do so without assistance, in case he might need help at some point. Joseba Menoyo, founder of Santiago Ways. After observing this situation, Joseba Menoyo decided to help him organize his trip on the Camino de Santiago. 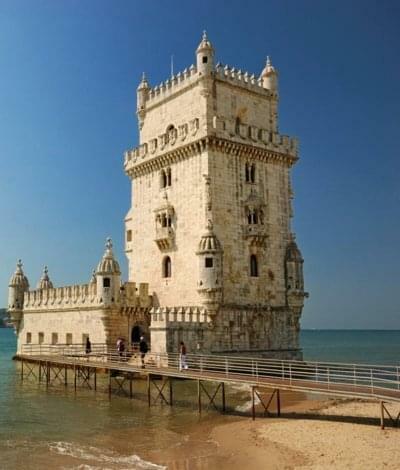 His father was delighted with the experience, organized by his son and encouraged him to professionalize the service. The drawback was that, at that time, Joseba Menoyo, worked in a position of high responsibility in one of the most important technological consultancy firms in the world. 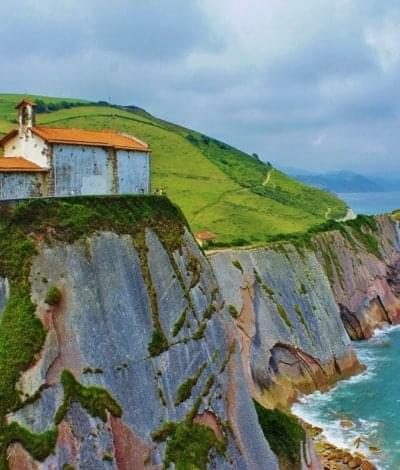 However, as Joseba Menoyo has always been passionate about the Camino de Santiago, he decided that it was worthwhile to create a specialized travel agency for the Camino de Santiago. 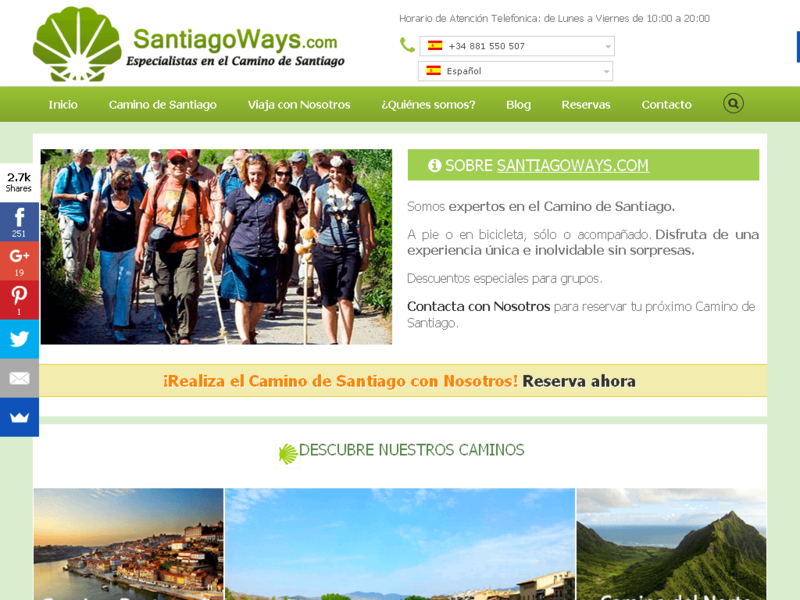 Santiago Ways is registered, specializing as a Camino de Santiago travel agency. The first version of the web is launched and the focus is placed on customer satisfaction. Web de Santiago Ways en 2016. 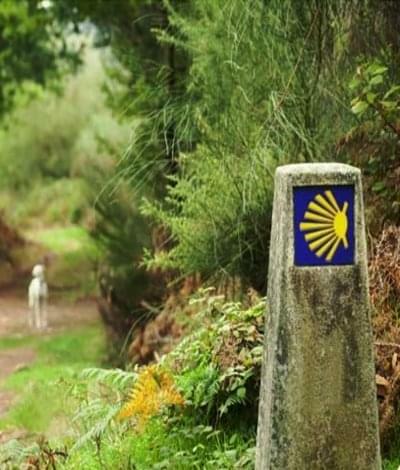 Success does not take long to arrive and in the first 6 months, more than 500 pilgrims decide to contract the services of Santiago Ways to organize some of the routes of the Camino de Santiago. Joseba Menoyo makes the decision to professionalize Santiago Ways even more and decides to give up his work as a manager in the important technological consultancy to devote 100% to Santiago Ways. 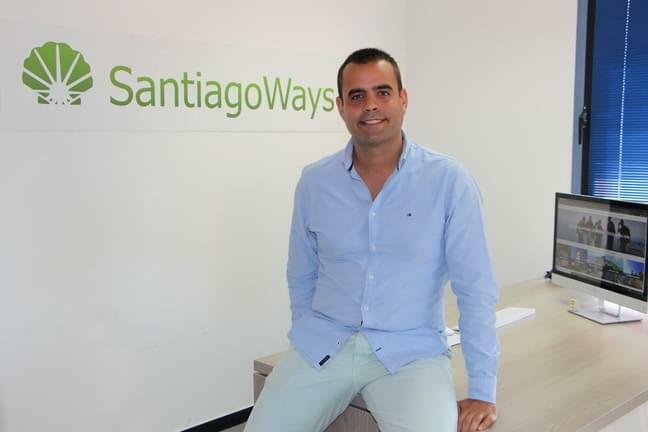 David Ruiz, co-founder and head of operations for the company, joins the Santiago Ways project. David Ruiz is a key person in the success of Santiago Ways since he has more than 8 years of professional experience organizing trips on the Camino de Santiago. That same year the team was joined by the first expert travel agents in the Camino de Santiago. In addition, a new Web version is launched, 100% adapted to mobile phones and with much-improved user experience. The English version of Santiago Ways is also launched. Web actual de Santiago Ways. 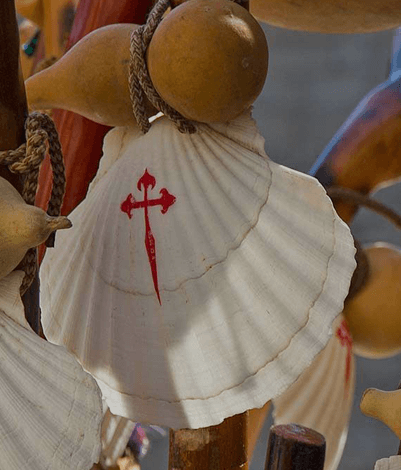 Success is complete and, in 2017, more than 3,000 pilgrims place their trust in Santiago Ways, especially to organize their journey on the Camino in the section of Sarria to Santiago. On the other hand, hundreds of reviews endorse Santiago Ways with an excellent rating on TripAdvisor, Google Reviews and Facebook. 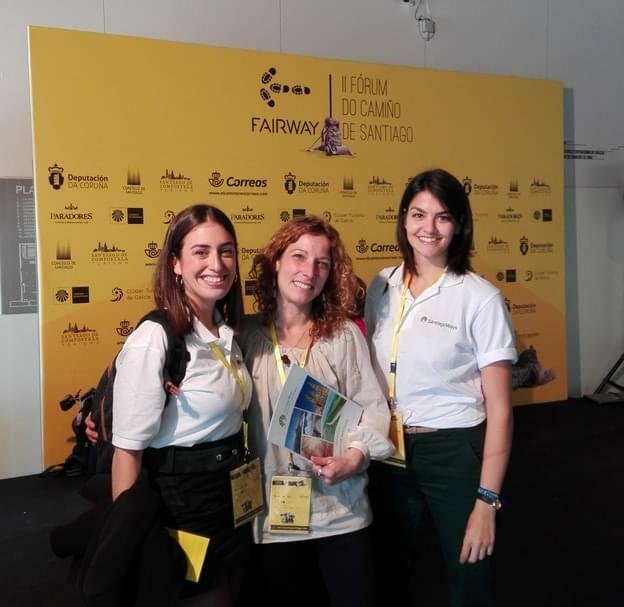 We also go for the first time to specialized tourism fairs in relation to the Camino de Santiago, like FairWay, and the II Forum of the Camino de Santiago, in Santiago de Compostela. Silvia y Vanessa en evento FairWay. In addition, we launch our first official video of the Camino de Santiago. Santiago Ways continues to grow and the German version is released. 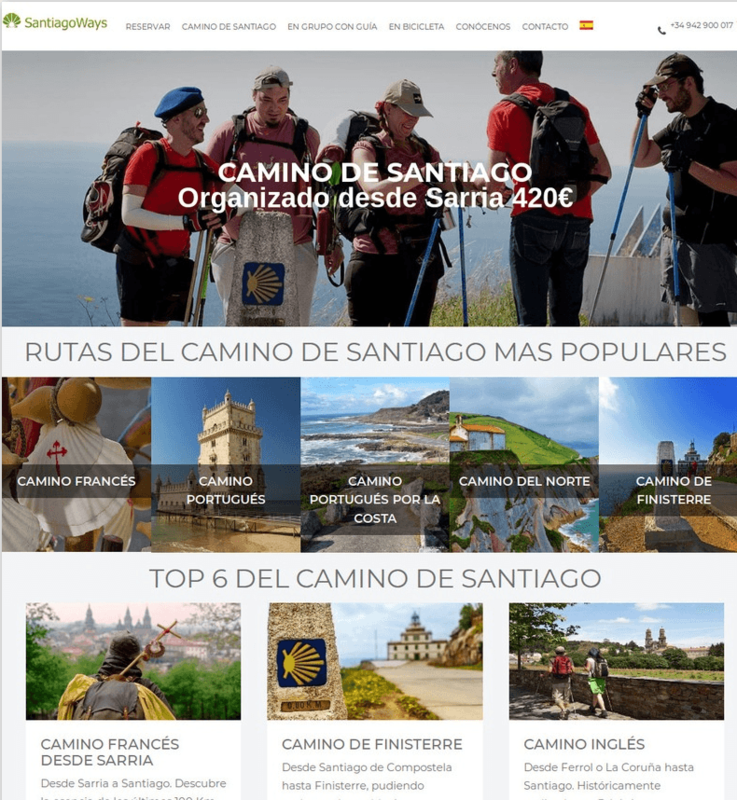 Santiago Ways becomes a world reference in trips to the Camino de Santiago and appears in the main media as a result of its success. We also took advantage of the Lebaniego year to launch the Camino Lebaniego. The team continues to grow, always putting the focus on being passionate about the Camino de Santiago. 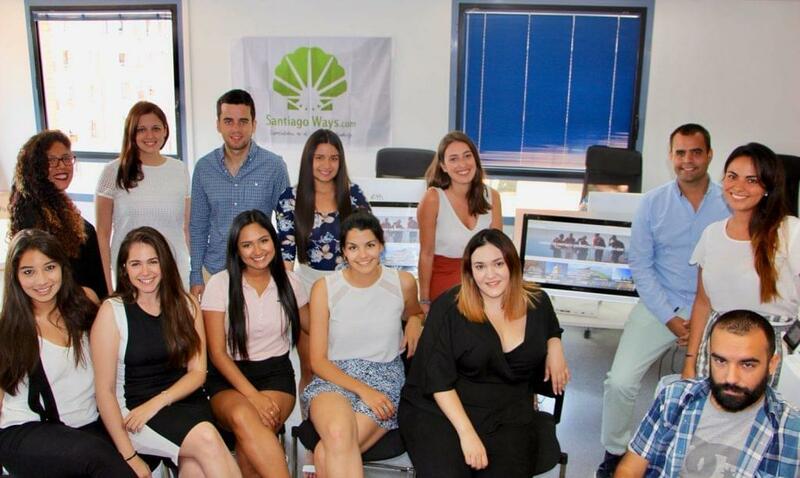 The Santiago Ways team in 2018. We went for the first time to FITUR, international tourism Fair in Madrid, with a great success that allowed us to close a number of very relevant collaboration agreements. 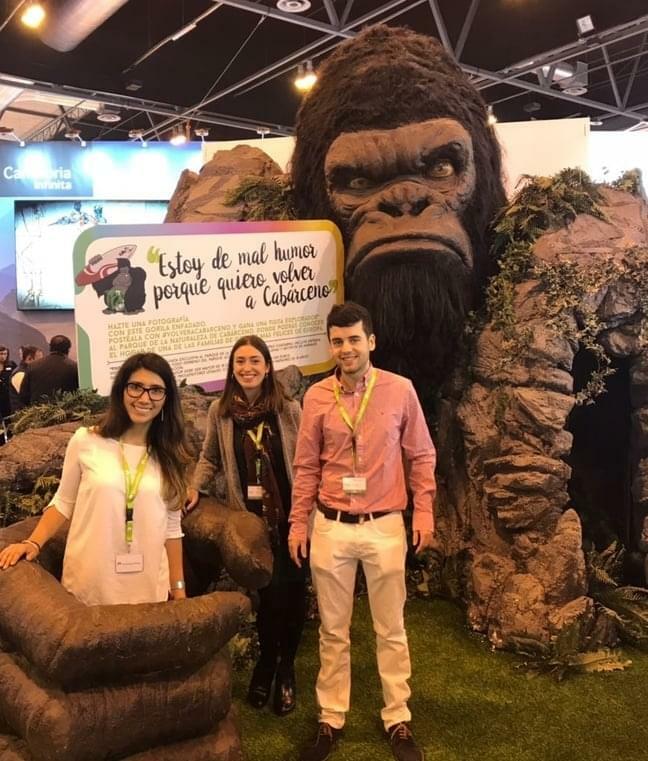 Santiago Ways at FITUR for the first time, in 2018. We get the best ratings possible on TripAdvisor, Google Reviews and Facebook. Ratings for Santiago Ways on TripAdvisor. In addition, with the focus on offering the best possible service to our customers, we started working on Saturdays and Sundays as well. Article about Santiago Ways in the El País newspaper, July 2018. We have managed to become the number one agency for organized trips on the Camino de Santiago. Finally, thanks to our German website and counting on excellent travel agents who have a native German level, we have increased by 500% the number of German pilgrims who trust in Santiago Ways. What are you waiting for us to help you organize your trip to the Camino de Santiago? So enjoyed reading your story. 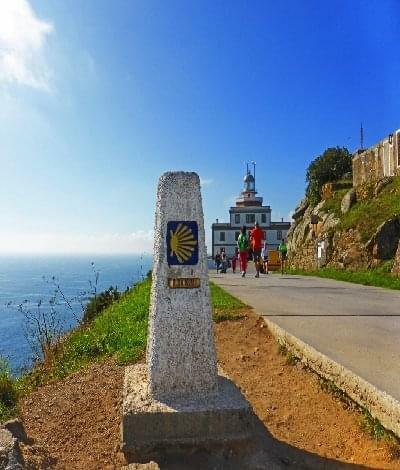 My wife and I and eight other pilgrims are looking forward to our first experience with Santiago Ways on the Portuguese Camino, Baiona to Santiago, May 20-28. And Vanessa has been excellent to work with in planning our journey!